Hear from Rene Gonzalez, one of five Cuban spies arrested by the FBI in Miami in September 1998. 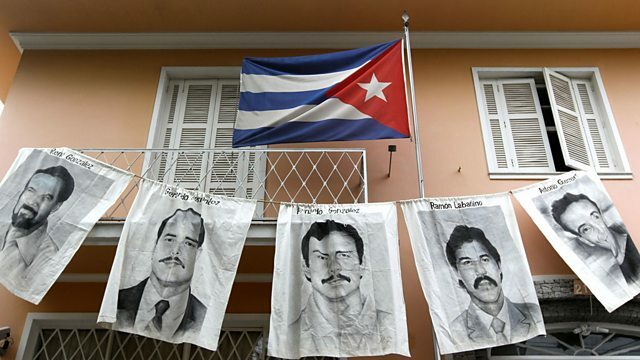 Five Cuban spies were arrested in Miami by the FBI in September 1998. After a controversial trial, they were given lengthy jail sentences. The last of the five was released in December 2014 as part of a prisoner swap for an American intelligence officer. Mike Lanchin has been speaking to one of the Cubans, Rene Gonzalez, who was released in 2011.